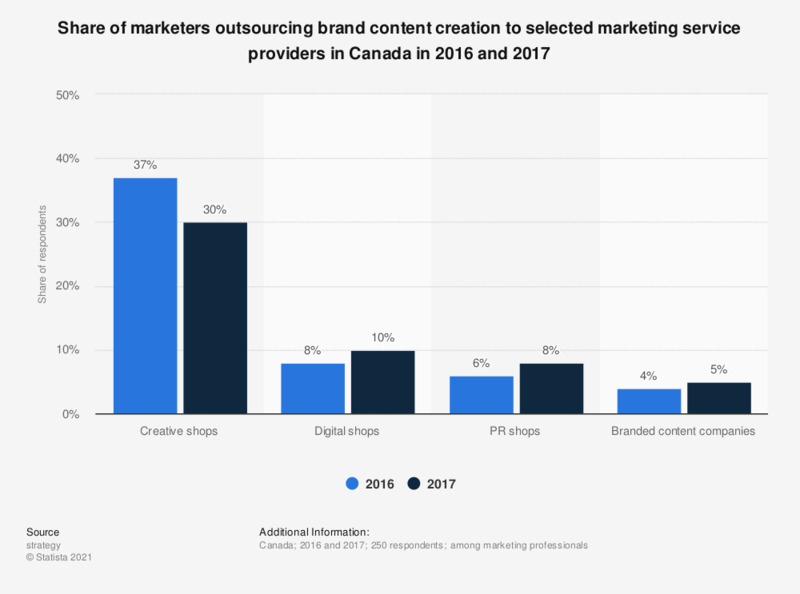 This statistic shows the share of marketers outsourcing brand content creation to selected marketing service providers in Canada in 2016 and 2017. In 2017, five percent of marketers said that they used dedicated branded content companies, compared to four percent in the previous year. Women: What kind of content would you like to see from car brands?